Our weekend was filled with exploration! We spent the morning watching kid friendly you tube videos about Michelangelo. I found some great biographies! We also veered a tad to answer questions about the Renaissance period itself. Christopher Columbus was mentioned. PJ has a wonderful pop-up book about Christopher Columbus that I read to him. “The Voyage of Columbus In His Own Words” has quotes from the journal of Columbus. It allowed PJ to see how people dressed and spoke during the period Michelangelo lived. We searched for Michelangelo’s art work. I focused on the works that most interested PJ. Looking at various artwork by Michelangelo was extremely helpful in teaching PJ to recognize the famous artists artwork!! This upcoming week we will most likely ‘play’ with pictures of Michelangelo’s artwork in a sensory bin, investigate pictures with a looking glass, or discover a tray filled with pictures of art…or maybe all three depending on how interested PJ is. First, we talked about the various biblical paintings on the ceiling of the Sistine Chapel. On day two, we discussed the material (marble) the statue David was made of and how very difficult it was to carve out. Day two was a Sunday so we recovered one of his favorite stories from the bible “David and Goliath” by pulling out his sticker book. I told PJ how long it took Michelangelo to finish these three pieces. PJ was very interested! Since we are learning biblical stories for lent, I thought it would be a good idea to invite PJ to paint his own pretend chapel. We learned that Michelangelo actually painted the Sistine Chapel standing up rather than lying on down. To make a pretend Chapel, I used wrapping paper taped to our porch corner. I made two walls and a ceiling for him to be under. You could see the pattern right through the underside of the paper but he loved it!! I also made this paint easel out of heavy card stock for him to authenticate the experience of what it must of been like to be Michelangelo! Then I invited him to paint like Michelangelo! PJ painted the ceiling of his chapel with acrylic paints. He painted clouds (heaven) and the sun. He was experiencing what it must of felt like for Michelangelo to paint above his head. After 20 minutes PJ started to paint the walls of his pretend chapel. PJ surprised me by painting stories of the bible like Michelangelo did without my leading him to! He painted the crucifixion, Jesus walking on water, and the birth of Jesus. Now I know what to focus on during lent. Although PJ will be doing extensions of homework and working on academic goals after school, I’m thinking of ways to include Michelangelo. Using the fore mentioned ideas- Montessori artist tray, a sensory bin, ect. Are you covering Michelangelo this month? Let us know how in the comments below! Ladybug Girl and Bumblebee Boy Book Craft for the Monthly Crafting Book Club. I’m very excited to be a part of this months Crafting Book Clubs book series choice Ladybug Girl! The Ladybug Girl book series is one of PJs favorite set of books that he owns!! Have you heard of the Ladybug Girl books? Let me introduce you to our favorites! Ladybug Girl is an adventurous character who is very active and great at using her imagination! In this book Bingo, Ladybug Girls dog goes camping with Ladybug Girl and her family. As she explores their campsite with Bingo, she casts a spell on an old tree wizard, rides a giant turtle rock, and sips tea in a secret garden. In the mists of their play with mermaids and fairies Ladybug Girl is called into action after Bingo gets lost. Then, she herself is lost. How will they find their way out of the enchanted forest? You will have to read to find out! Ladybug Girl and Bumble Bee Boy by David Soman and Jackie Davis is the book my son relates to best! It’s a story about a visit to the park where Ladybug Girl meets up with a fellow classmate. The two friends want to play together but can’t agree upon what to play . A common super hero interest is discovered when Ladybug girl asks her friend if he wants to play Ladybug Girl. Soon, the two are rescuing Bingo from a scary monster, stopping a mean robot from crushing the play ground and more! In this adventure there are 4 total super insect heroes each with their own imaginative powers!! Now comes the fun part. After reading Ladybug Girl and Bumble Bee Boy (Alot! ), PJ and I did this fun craft together. I wanted to build on one of the themes of the Ladybug Girl books and that is to Make the best of what you have. I think it is important to lead children by example so we used supplies we already had at the house and a little imagination. Just like Ladybug Girl!! We gathered all shades of yellow, black, and red crayons. It’s ok if they are broken. Peel the paper from the crayons. This is great fine motor practice! I covered a baking sheet in aluminum foil. I helped PJ fold the foil into inch wide strips. He made two of these strips. We turned the foil strips on their sides and formed a ladybug shape out of one strip. We made a simple oval for the bumblebee shape. We trimmed the strips length down a bit, too. We placed the insect shapes on the foil covered cooking sheet and filled them with shades of red or yellow. The different shades of each color made the final craft so much more beautiful!! I placed the cookie sheet in the oven at 200 degrees for just a few minutes to melt the crayons. We added gray stripes to the yellow bee and black dots to the ladybug last. Then returned the crayon bits back to the oven to melt but not too long. Otherwise the colors will run into to each other and not appear to be dots or stripes at all. It does not take the NEW crayons long to cool. PJ wanted to peel the foil off. His craft insects were warm and brightly colored! They are appealing to the senses..rough on one side from bubbling heat and smooth on the other. Best of all they are so beautiful don’t you think!? I REALLY hope we have inspired you to read a Ladybug Girl book soon! This is a 10 day celebration of International and Cultural PEACE. We are so very lucky to have it in our neck of the woods!! There is a Folkmoot Center and you can read more about that at Folkmoot.org. Folkmoot is celebrated in 7 different counties here in the Western North Carolina Mountains..Appalachain Mountains and Great Smoky Mountain National Park. This festival features international dance, song, and mountain crafts plus food vendors! The festival is also valued for educating children about internationl cultures and you can read more on it’s Say Hello campaign here at Folkmoot.org. Our little family attended 2 day long events but the best event of the festival was the International Festival Day. There were over 200 international dancers and performers from all over the world! They came from China, Finland, Poland, France, Peru, Japan, Romania, the Dominican Republic, Ghana, Mexico/US collaboration, and the Eastern Band of Cheerokee Indians!! #Folkmoot2016 Our #Cherokee neighbors #Tsalagi International Festival: http://goo.gl/jKyrME #Folkmoot #folkfestival #nc #northcarolina #haywd #sweetspot #Smokies #dance #music #avlnews #avldance #avlent #smokymountains #wncnews. Hand crafted glass air plant homes. PJ knows the value of sunlit glass as seen in “Pollyanna”. He mused at them for the longest time. This chair. We have a Reedwood hanging chair for PJ but I am tempted to replace it. And a ton of family fun traveling to 12 different hosting communities within the Great Smoky Mountains. The sights of art, sounds of global music, and smells of tasty treats are just the beginning of our exploration this day. COMING UP, go around the world as we share crafts PJ did at the festival (and you can do at home!!) using a Passport. You can also visit Living Montessori Now for more great activities using Little Passports. As we studied the rain forest trees this week, this cute craft from the past came to mind. I thought it would be a good time to share it here with Arbor Day coming up this month. This month is also Autism Awareness Month. A month that will always be observed in my life and heart. I love being able to use my blog as a sort of journal for all the things my son and I have done together! For me, scrolling through this post will be a tearful reminder of how much he has overcome. Plus, it is wonderful to have this time to write it all out and share with you. We have been through so much together but I’ve never had the time to write extensively about it less note taking on his progression. Though I’ve been writing for a few short months, I have been providing support curriculum for my son going on 4 years now. During that time PJ was diagnosed with “severe to moderate” autism. He was 3 years old at a developmental level of a 3 mo. old infant. We spent much of our days working on basic skills like learning to sit in a chair (without falling), using whole words to communicate, over coming fears (water, sun light, tastes, textures, sounds ect. ), pointing at things when asked a question, and generally tolerating others. He and I attended many different types of therapy sessions. Our days of learning were intensive. Through it all I have tried to keep things as fun as possible. This he knew as going to “listen”. He had a blast during Integrated Listening Therapy! Phenomenal Speech therapy I might add…Oh how we miss Phenomemal SLP as I called her! There was no time left to do things like run a blog with a 40 plus hour 7 day a week learning program and several therapy sessions squeezed in between. Let’s not over look the hours of meal planning for a special diet or home programs for building tolerance. These programs are often not spoken about but the most difficult for individuals with autism. “Going Shopping” A program that started at 5 minutes of tolerance per trip. The faithful backpack was a necessity that has since faded out of the trip. So has the shopping cart! “Hair Cutting”. A program to build tolerance so that cutting his hair didn’t “hurt” his ears and head. Our first cut with electric clippers and a salt tray graduated to a professional haircut. “Finger Nail Clipping”. A program to build tolerance for clipping his nails which I previously could not even do successfully in his sleep. Now he cuts his own nails! Now that PJ is catching up to his peers (in the case of science he is ahead) there are very few days of data trials with cards (an additional aide for memory retention), I have more time on my hands. 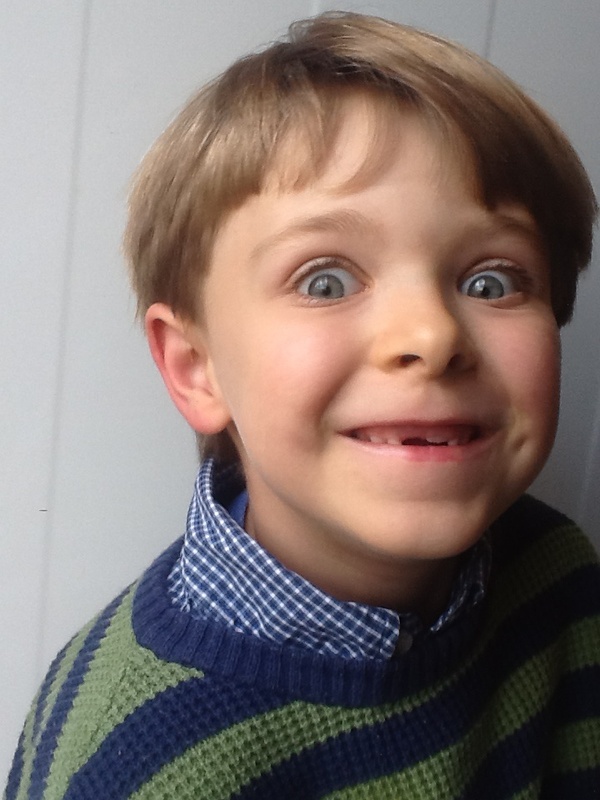 Though he has lost a diagnosis of autism, we still have much learning to do. 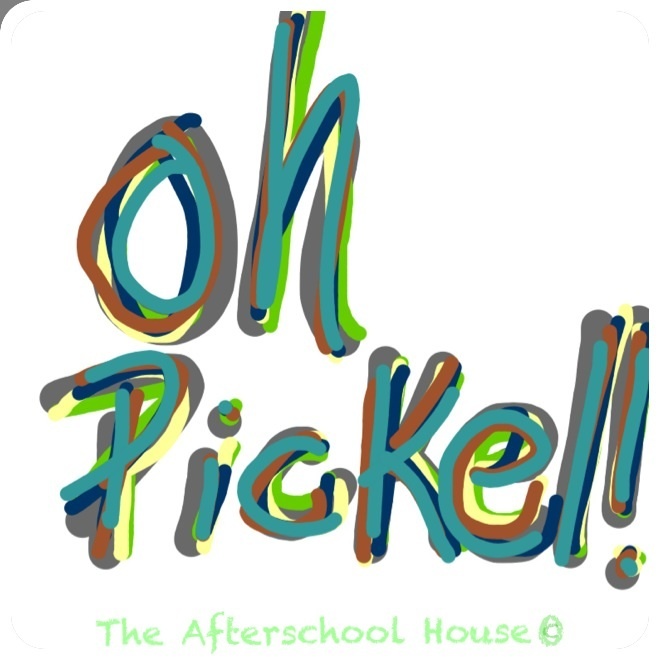 There are social skills, speech, motor skills to strengthen, and academics in general to work on Afterschool. But these days CAN be and are now be filled with much more musing over his beautiful personality than wondering what is wrong or what hurts when he isn’t “himself” because he can’t tell me. Now there are more moments where he is leading me than in the past during our learning together. 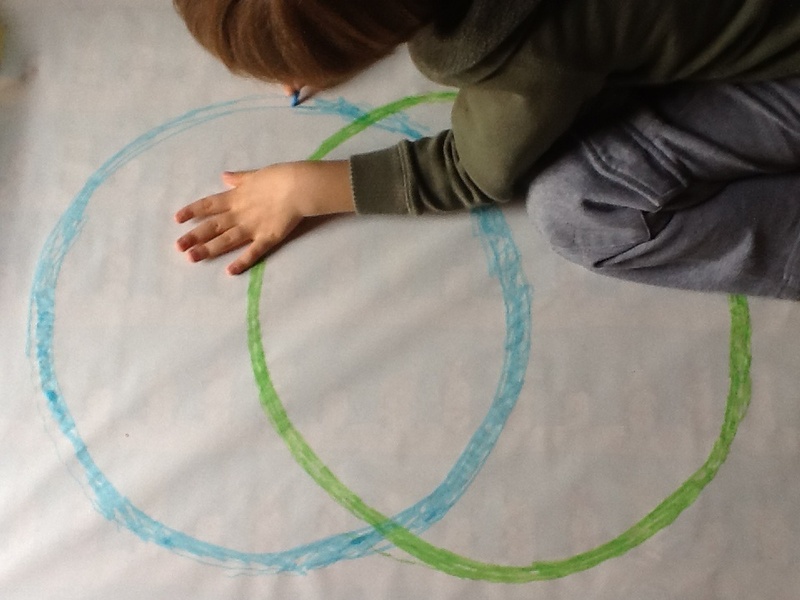 The following activity was one such musing of his curious exploration that led our learning. Tape 4 pieces of cardstock paper together at the corners. Turn the new whole piece of paper over and paint a trunk with sprawling branches. I helped him do this part but you can let your child complete the task if they are ready. He used bottle caps top side down and dipped in paint to create leaves for his tree. I remember how much he enjoyed blending the colors of the leaves on the paper. The finished master piece still hangs on our wall. This year we plan to make one for each season. Next is summer! Now for the fun part! While the tree craft is drying go outdoors and explore. PJ took lots samples of tree parts. He even took samples of things that were growing around trees. We explored different types of bark and the insects that live under bark. I explained vocabulary words, labeled parts, and introduced adjectives as he moved around from tree to tree. We were at a huge mountain recreational park area. Tons of variety there! Finding the sapling that was planted inside an old cut down tree was the best. It took his exploration on a side trail of internet searches for ways to help the environment by planting trees. Really, it was the core of what I hoped he would learn about Arbor Day. We still check on the growing sapling to this day. After collecting “tree” items PJ took them how to sort them by leaves, branches, bark, ect. I left his art along with containers of tree materials out so that it would be accessible to him for a few weeks. He talked about his tree exploration trips, labeled parts of trees, and matched parts to his craft. Both PJ and my daughter love reading “The Giving Tree” as much as I do. This 20 year old copy was one of the first books I bought for his sister. It is a great book to read for learning about why we need trees and all they give us. PJ used his craft and tree findings to retell parts of the story several times. I enjoyed watching PJ learn using all his senses for Arbor Day! We smelled the scent of pine and felt various textures. He was very engaged and remembered lots of new vocabulary. It was the start of a new type of learning..an independent style of learning ..his way. 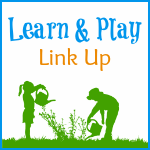 How will your child explore Arbor Day this year? Please comment below. I’d love to hear about your plans and experiences! 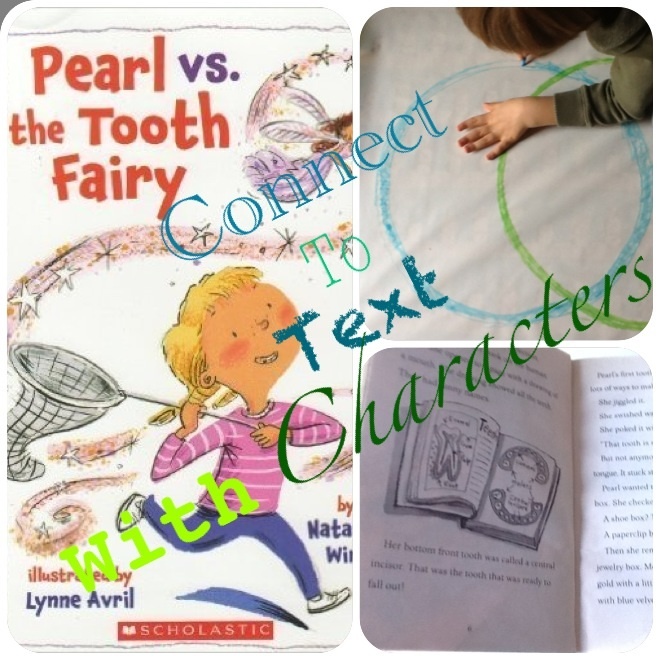 Connecting To Text With Characters…. My son and I continued to study Narratives and all its components this Thanksgiving break from school. 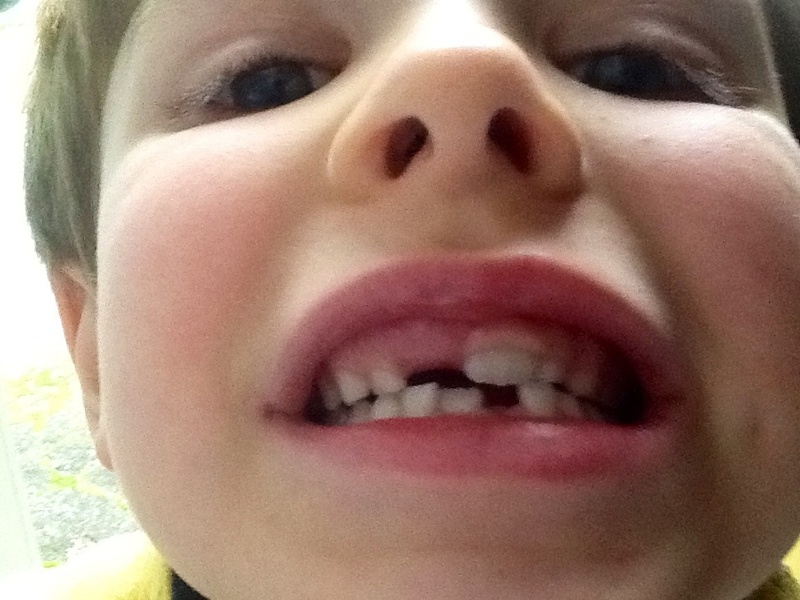 He has lost THREE teeth!! AND now he has a fourth tooth loose:). So, instead of learning about The First Thanksgiving ( we can always do that next week, RIGHT.!?? ), he and I read this ADORABLE firster chapter-book! It turned out to be one of our favorite books! I only wish I had found it sooner for my now grown daughter to enjoy. 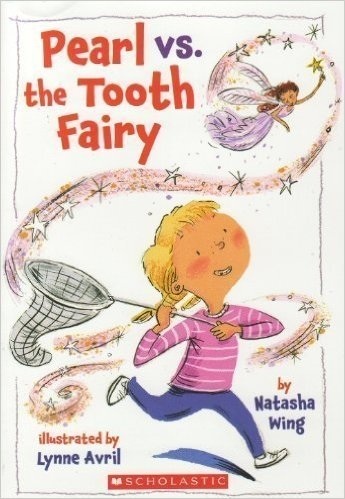 MUST HAVE TOOTH FAIRY BOOK!!!! AMAZON.COM new or used available!! This book has 13 chapters that took us all of his break from school to read. We took our time and were able to read the whole book two times from start to finish. This is a great reading comprehension strategy BTW! If you have been following you will remember I like to use anchor charts when we cover literature at home. My son just loves the BIG visuals we draw and write out together!! 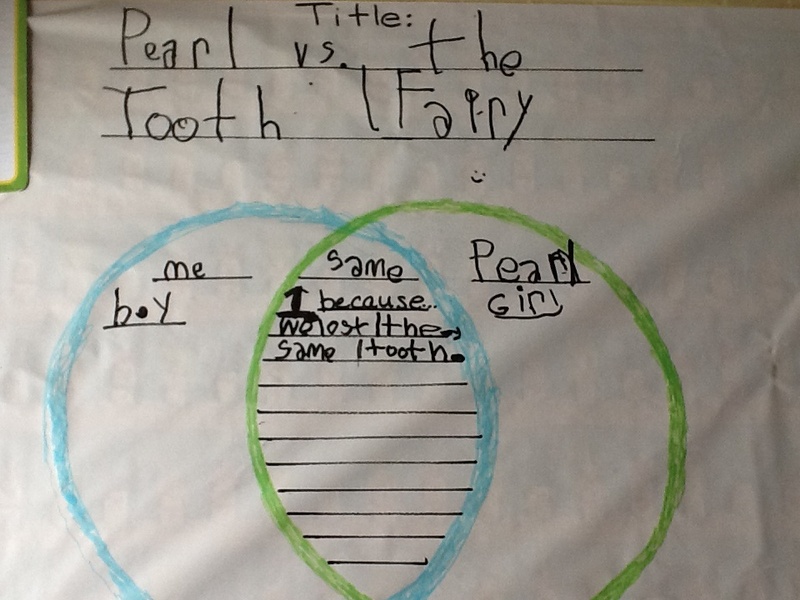 This particular book worked good with a VENN DIAGRAM to compare himself to Pearl, the main character in the book. The second most important character of course was the TOOTH FAIRY!! He loves to draw on wrapping paper and I love that he is using his whole body to think! He wrote new details to compare himself to Pearl after every few chapters. We used the TABLE OF CONTENTS to label every new chapter and find the page the chapter started on. 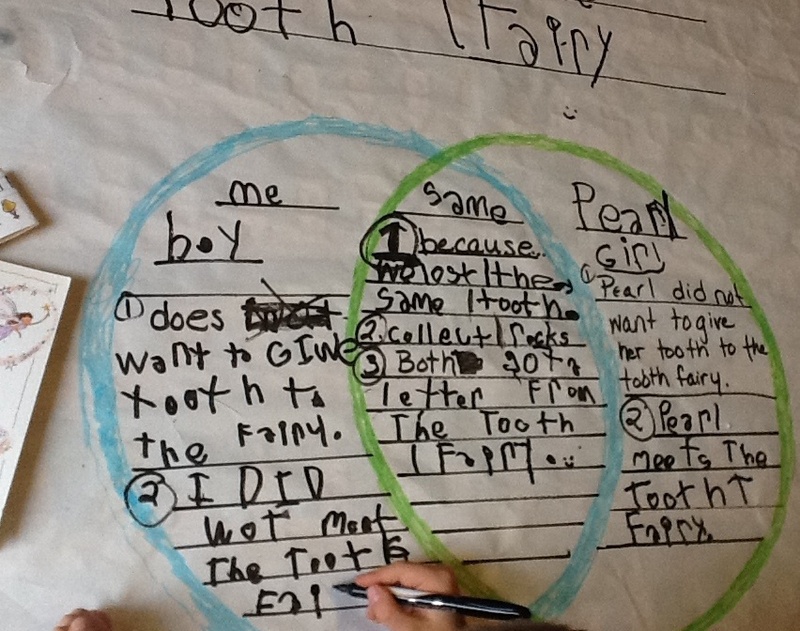 When the diagram was all filled up we continued to talk about comparing his own tooth loss experiences to Pearls experiences. He liked the book so much so that I even looked for TOOTH FAIRY PACKS to incorporate into his week off from school. LETTERS FROM THE TOOTH FAIRY.. Here is the link for a letter responding to that request FROM THE TOOTH FAIRY HERSELF!! I’m sure I will be reading more books about the tooth fairy real soon, but if you have more ideas to add to this tooth fairy unit feel free to comment!! Love to here from you! 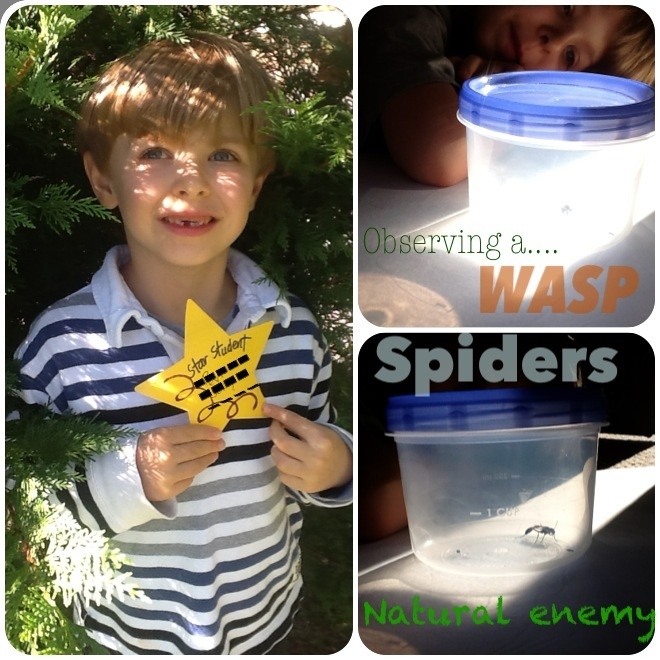 30 Plus Spider Theme Activities….AND How We Used Them!!! Wow Wee!! 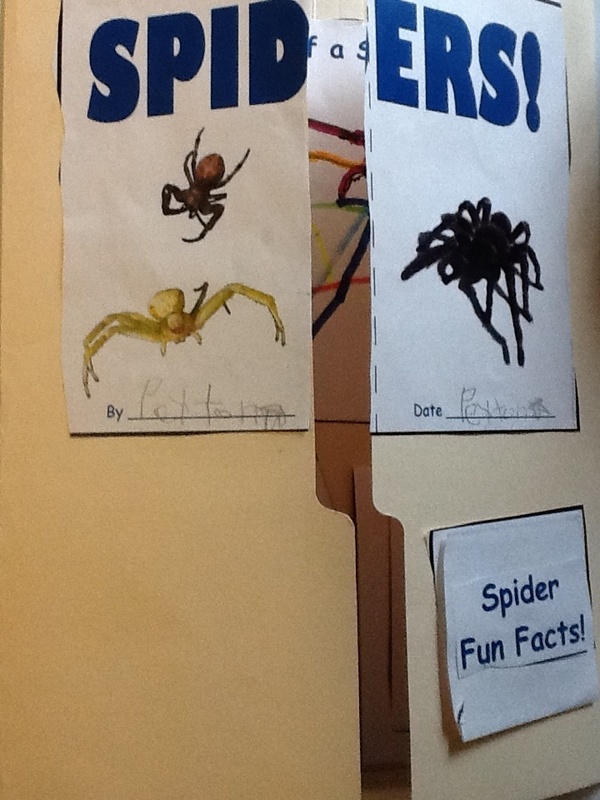 We have studied spiders in just about every way possible for a first grader to do so! YOU HAVE DEFINITELY COME TO A GOOD PLACE!!! Everyday Afterschool my son has first grade spelling words to memorize. 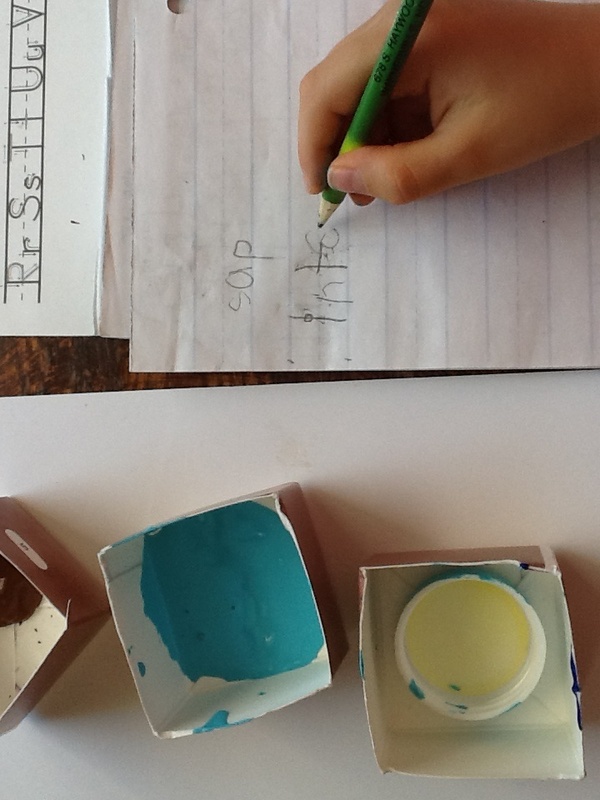 We practice writing his spelling words in a mock test but also do a hands on activity. 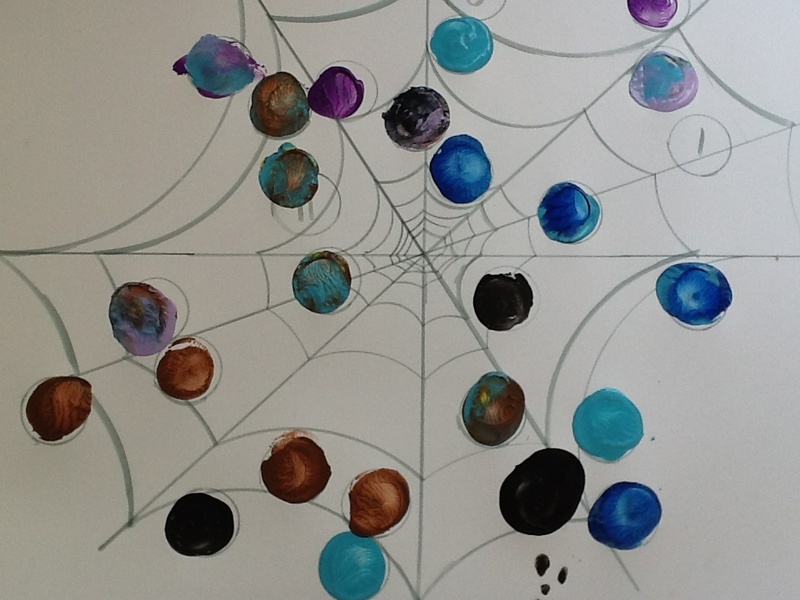 I ended up making my own Spelling Spider Web Art…. Before or I found this hands on activity from…. 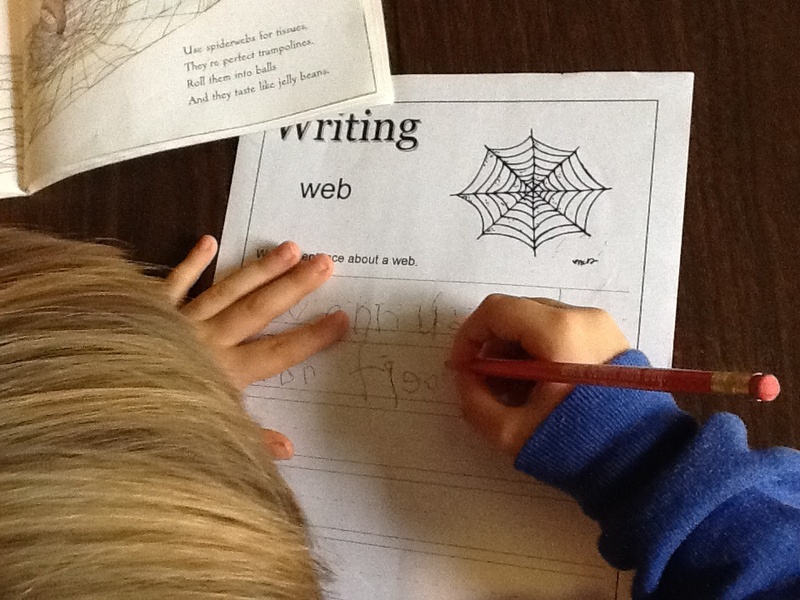 A Mom With A Lesson Plan: It’s A Spider Web Spelling Word Search!!!! We wouldn’t get very far if we didn’t include reading in his spider theme. He loves, loves, loves, books! And after a search for reading practice at home I found.. 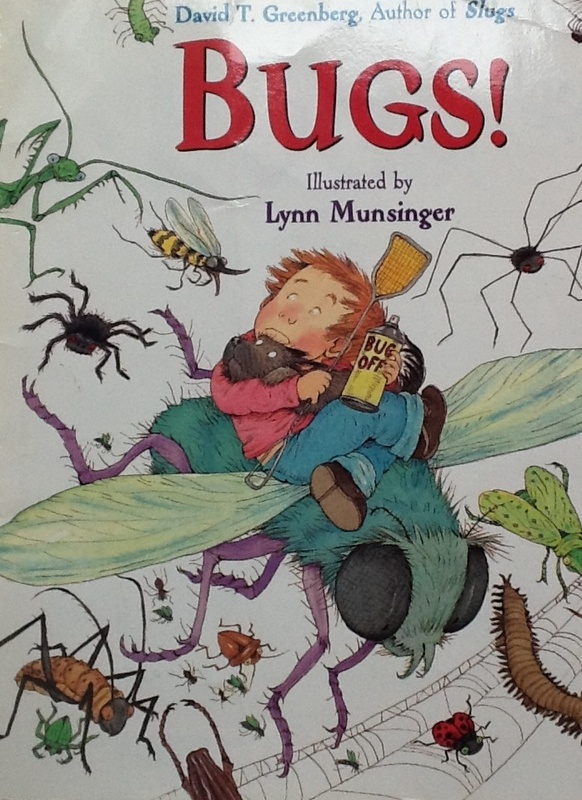 The Measured Mom had just posted this collection of BOOKS for bugs!!! (Spiders aren’t insects remember) What luck!! We have made lots of printable books together in the past. This Spider Fact Book Emergent Reader from Making Learning Fun was a good way to practice not just reading but also illustrating text. One Extra Degree has a Charollet’s Web Unit Study and FREEbie! 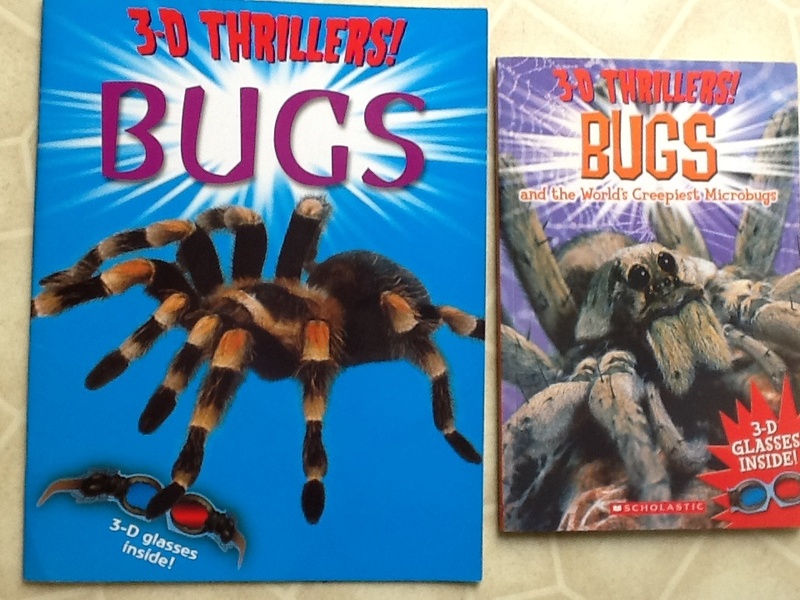 I loved using This Reading Mama’s homeschool experience about FACT or FICTION with Charollet’s Web. We also used these books below (plus tons of others!) to label fiction from nonfiction, compare and contrast spiders with a Venn diagram, fill in a Can/Are/Have chart and an Know/Want to know/Learned chart.. 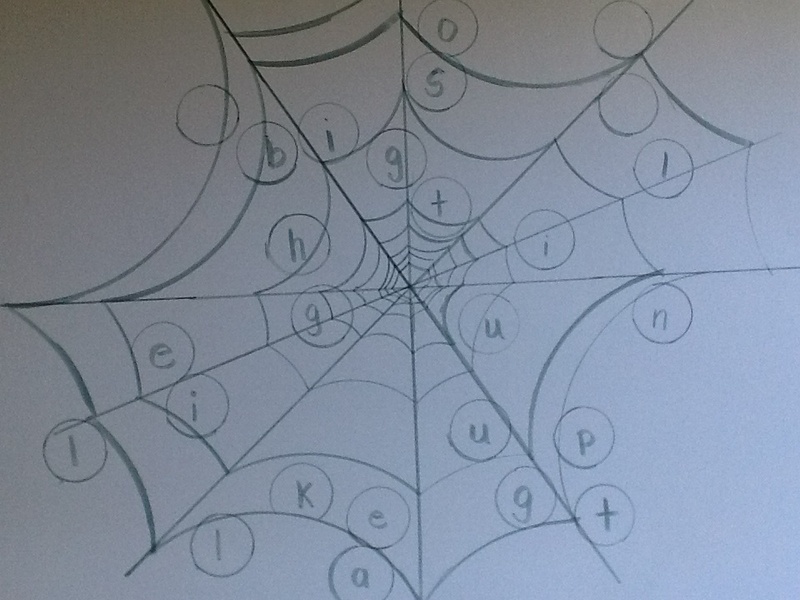 Walking By The Way has FREE Charlottes Web Copywork that we will use for some of his sentence practice and story retell. 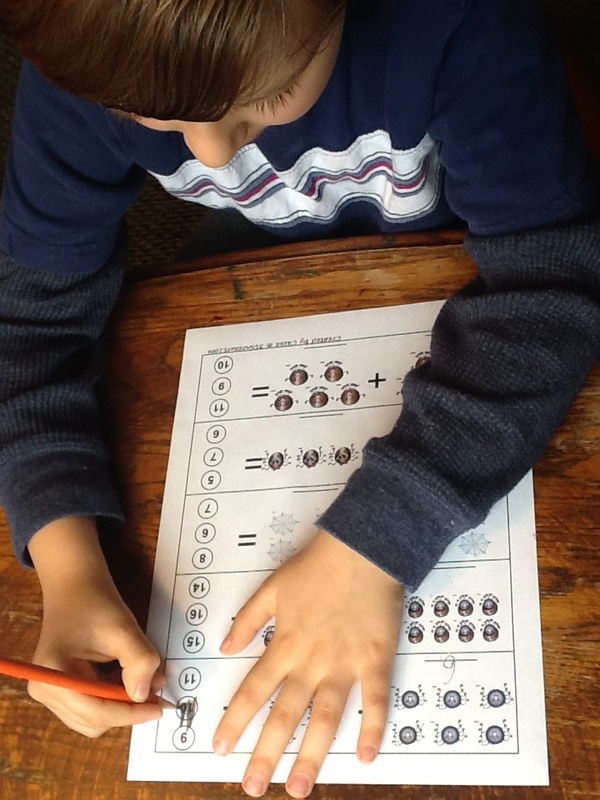 My son is covering addition and subtraction of double digits. We also reviewed more/ less than for mathematic language. Gotta learn those word problem terms! 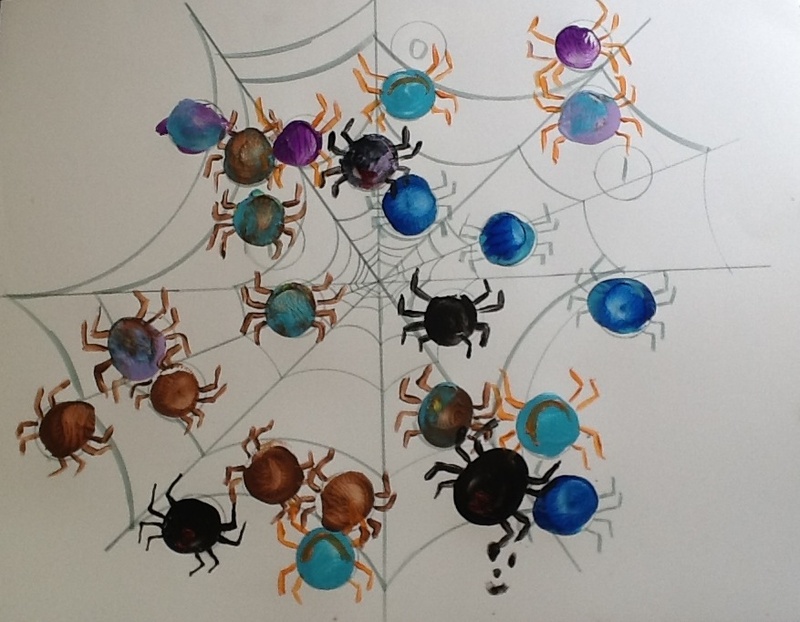 You can try my activity for Addition/subtraction with spiders HERE. It also has a more/less than activity version. I included The Imagination Tree Incy Wincy SPider Counting Activity Resource Pack in this round up because it was a good resource for Firsters in beginning levels of math. Tiny Tots Adventures has a hands on craft to Practice Number Words. 3 Dinosaurs Printable Packs!! This needs a category all it’s own! 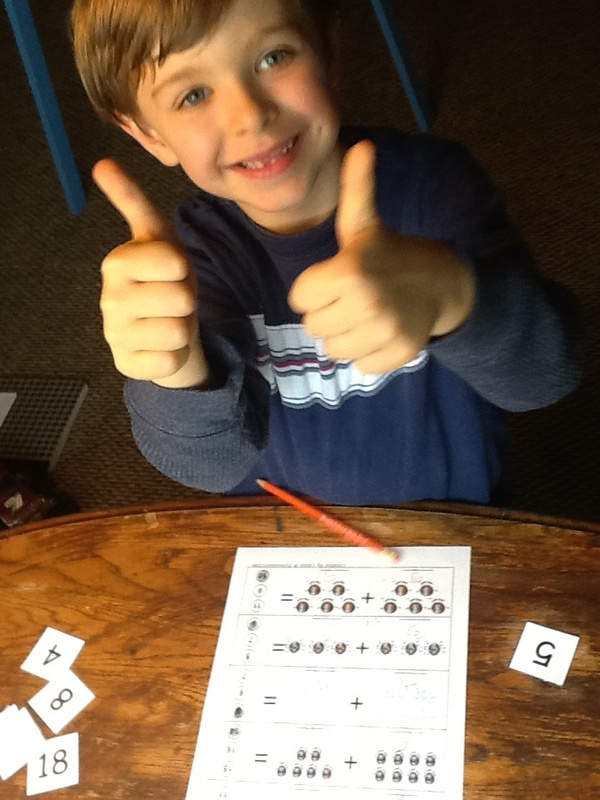 He really enjoyed using the addition printable! If you haven’t tried her printable packs you are missing out on some of the CUTEST graphics and best all around learning out there!! We used her FREE Bat & Spider Pack over and over again!! As you can see above, my son had no problem maintaining attention to tasks in almost every subject. And the best part about the packs are you can choose your child’s level and practice subject! (Yes, there are printable s for writing, math, reading, shapes, letters, you name it!) She has each printable labeled so that you can pick and choose BEFORE you download!! My son likes science almost as much as he likes books..almost. He particularly likes life science: ants,bugs,life cycles, ecosystems, plants, water, eggs, babies, and the like. The best place to explore all these things are outdoors. So we hunted for spider webs on walks and tried to collect one that turned out too dainty for the task. 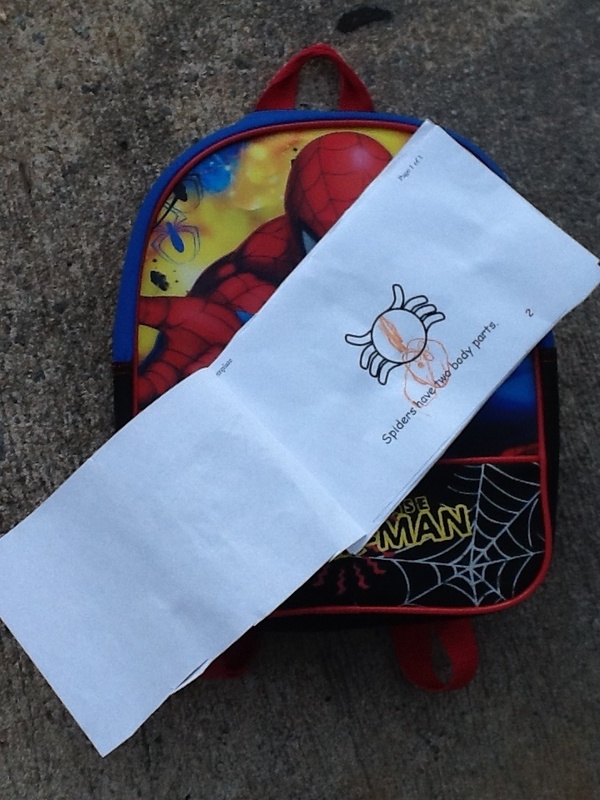 Maybe you will have better luck at finding a hardy web with the link below..
We worked for several days on this FREE Spider Lap Book from Preschool Powol Packets. We rainbow colored the parts of the spider then drew lines to the matching label/name of the part . A variation from Preschool Powol Packets. To match the parts of the spider to each name of the parts he and I studied and talked about it using these SPIDERS at BIJLmakers.com. This is a fantastic step by step way to label spider body parts! 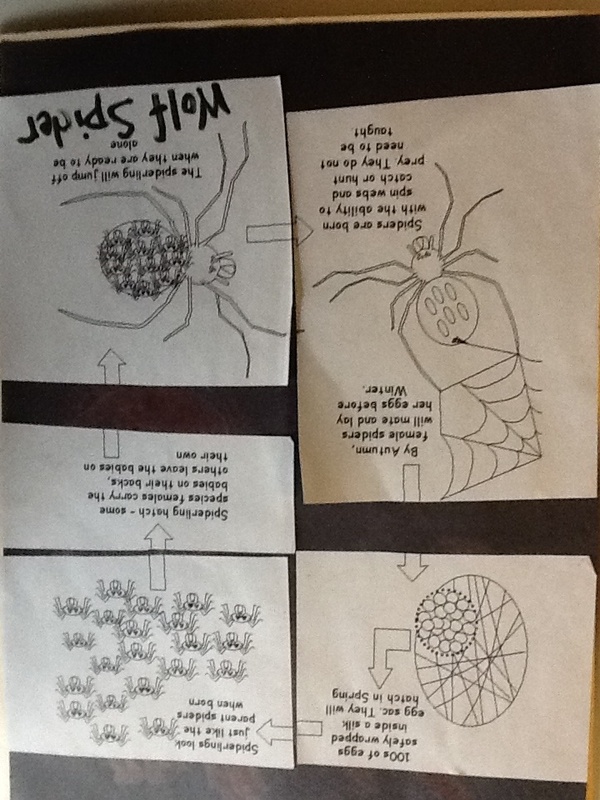 He wasn’t quite ready for all the printable s in the lap book so I added this life cycle of a spider in addition to the one that comes with the lap book. We cut The Life Cycle of a Wolf Spider from Kidzone.ws into puzzle pieces and practiced putting it together several times. Then we glued it into place on the back of the Lap Book. We studied 4 unique spiders: 2 poisonous spiders the black widow and brown recluse, a wolf spider, and the orb spider family. This link was one he was uber fascinated by. It’s a posting of a mama wolf spider caring her babies on her back! EEK!! My son is a super visual thinker! We utilize you tube for learning extensions in all subjects. Videos also help bring it home so to speak by repeating what we have already learned in reading or listening to books. Many times I read a book then find the video reading of the same book and read it again. I didn’t share a link to those we used for his spider study: There were too many! 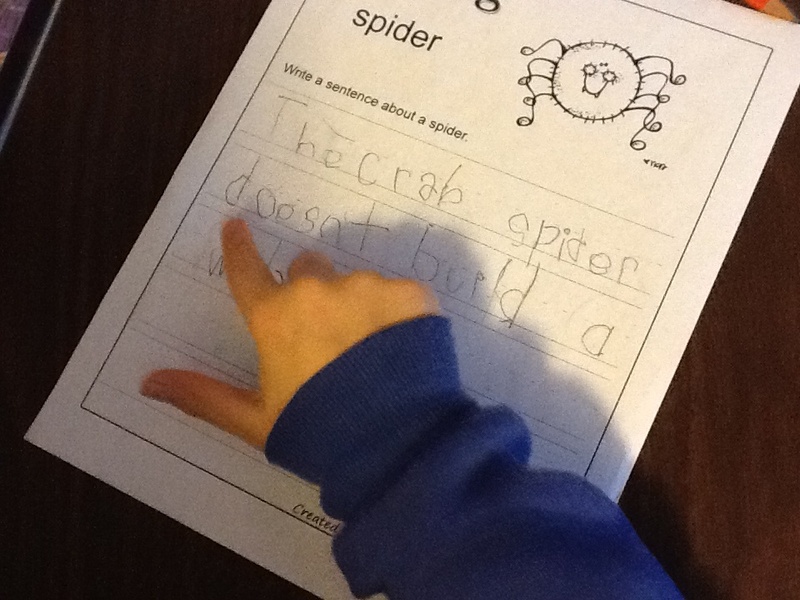 LOTS AND LOTS of writing was done after reading, you tube videos, and before we started the spider study. 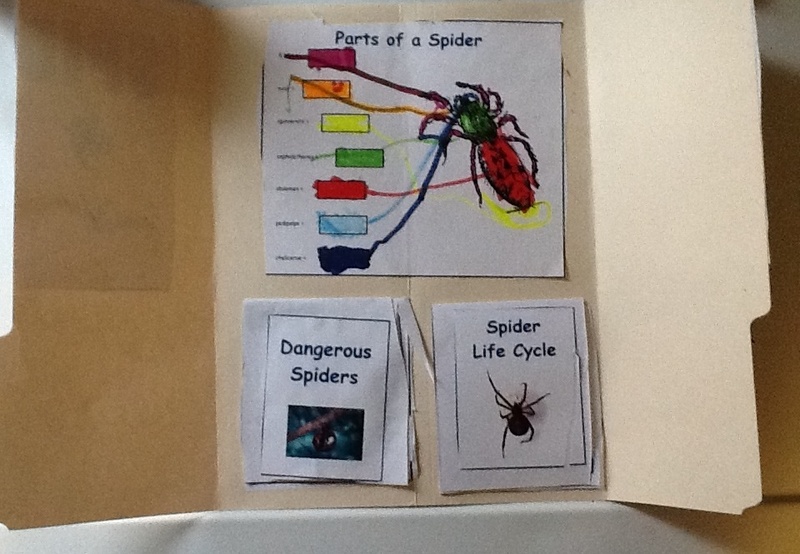 I made a couple of charts using the back of wrapping paper to compare and contrast spiders with him. I did the same for a K/W/l chart before we started diving into books. He wrote sentences (above) about facts he learned. I asked him to recall stories from ficiotional books using a story map. We wrote spelling words on Spider themed paper and paused videos to jot down key points about spiders..I used different types of paper to keep things interesting. FUNdations is a popular program which has its own writing paper (similar to Hand Writing Without Tears. If your child uses this program at school it is always handy to have this link: from 49 Online. Activity Village has Spider Writing Paper. Cluter Free Class Room has a kit that includes Spider Writing Resources. School Time Snippets has a FREE Spider Verb Noun Sort that we have been working on repeatedly. NOTE**** If your child uses picture cards or PECS try this with your cards! 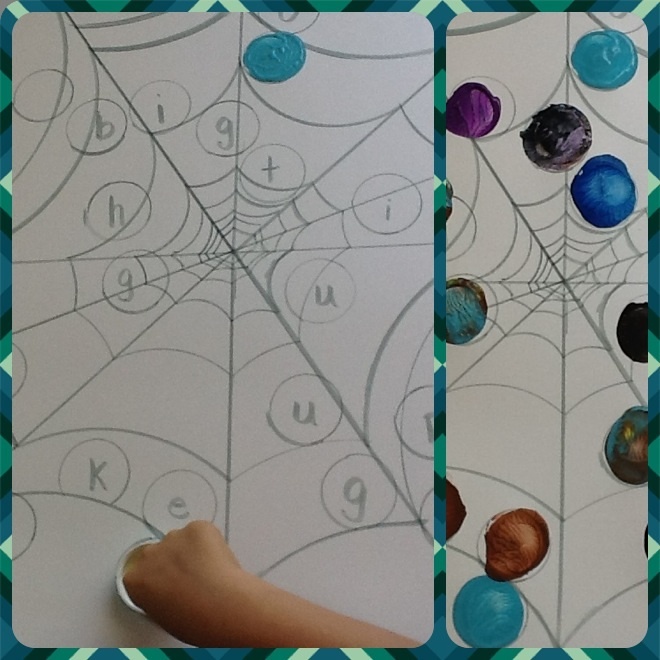 We used Boy Mama Teacher Mama and her Spider Web Sight Words for more visual learning that has that COOL MOM effect! I included Playdough To Platos Spider Word Family FREE Printable as a review of what we covered over the summer. Speech Peeps is still keeping us busy with an introduction to Synonyms WHICH HE IS JUST LOVING!!!! 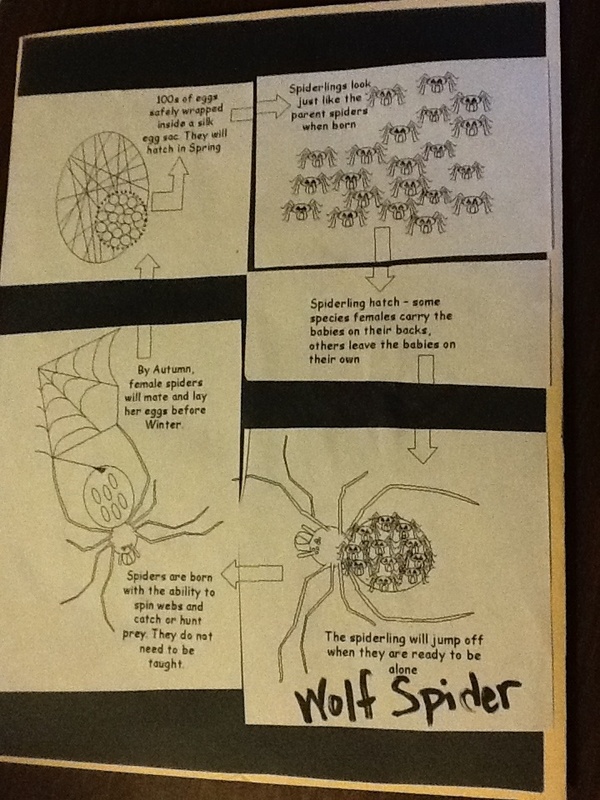 This Synonyms Spider Craft And Activity is oodles of fun! This doubles or maybe triples! for Speech, sentence practice, and language arts!! Playing With Words 365 has an ‘Sp’ prodution at the word level GAME. We aren’t working on Sp articulation but if you have a spider theme going on you can sub your own sounds at different places in words, phrases, or even reading within text. We will be having this kinda spider speech fun from SLP Mommy Of Apraxia well into November! 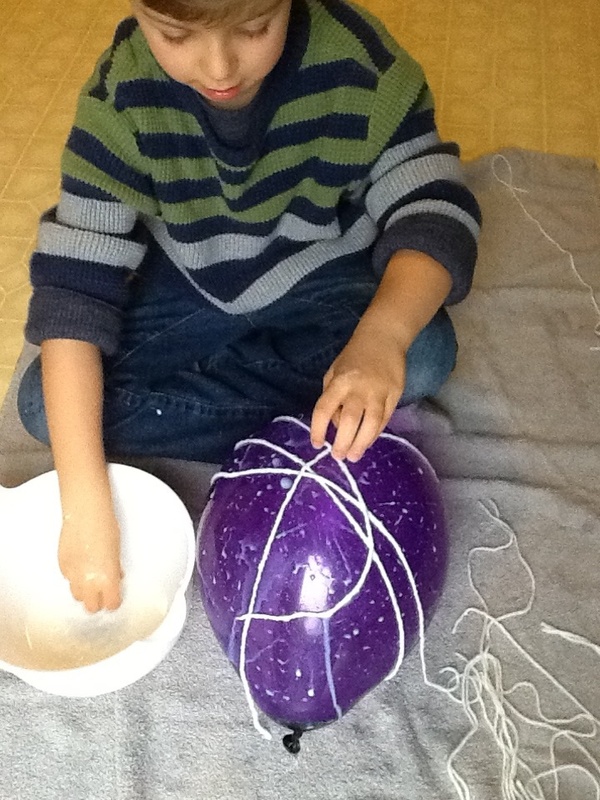 MORE HANDS ON ACTIVITY FUN…..In between the other fun spider learning of course! Oh, he had a very hard time containing the hardy laughs (he can have a deep voice), YEAH’s!, and general ants in the pants when we played this with our neighbors!!! Thanks Frugal Fun For Boys for your Back Yard Games Spider Launch. NOTE****we used this to practice spelling words as well. Neighbors are also classmates. No pictures. Things were going little boy fast! 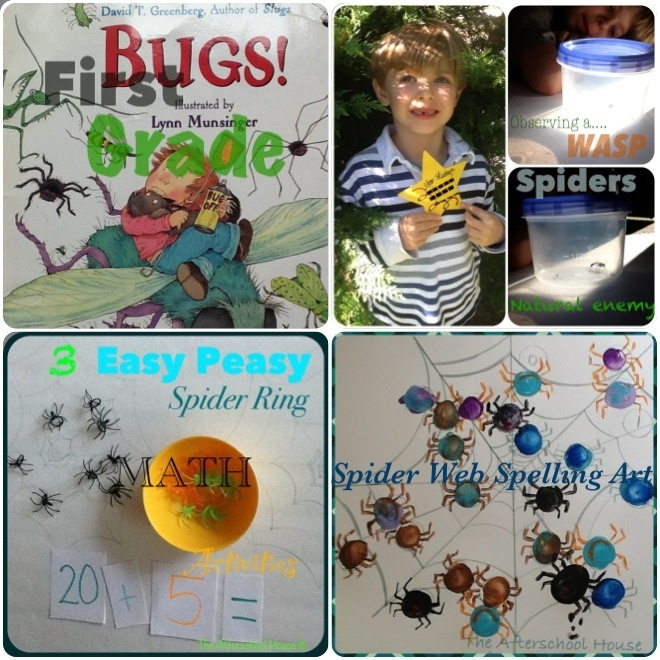 123Homeschool4me has a totally “Fly”Glow In The Dark Spider Web! Did you like what I did there;) Here we are trying our hand at it. 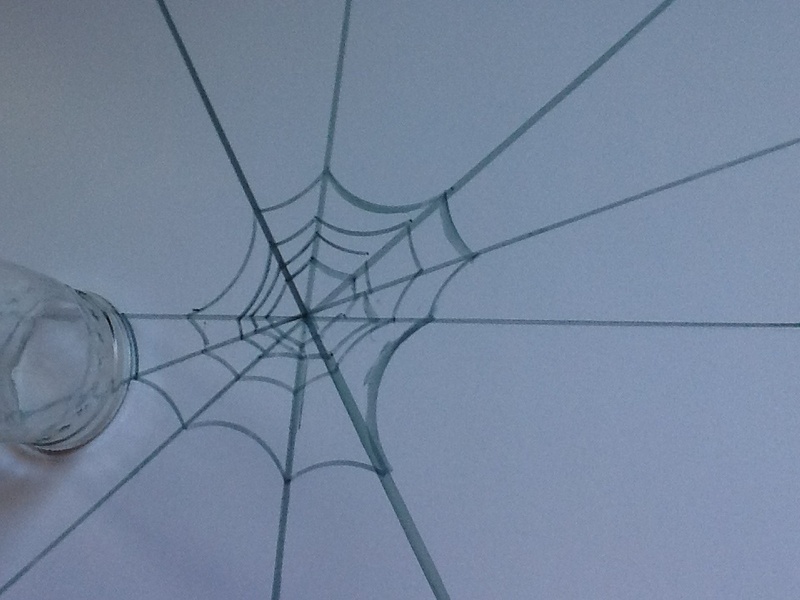 Our web is still drying…. If you looking for more Spider Crafts Coffee Cups And Crayons is a good place start. We are using some for Halloween decor. We have done done various color wheels but we have yet to use glue and glitter to make a color wheel. Artsy Momma has a beautiful design for that HERE. There you have it!! Tons of stuff to have a memorable time learning about spiders like we did!!!! This week my son has been studying SPIDERS. All week I will be posting fun activities that we have used and will be doing afterschool! The first of each week he has a new spelling list sent home from school. I’m always on the hunt for new ways to practice spelling and occasionally I come up with an idea of my own. See here what we did?! To do this spelling craft you will need..
paint brush is instead of marker for the spider legs is optional but can add fine motor practice!! 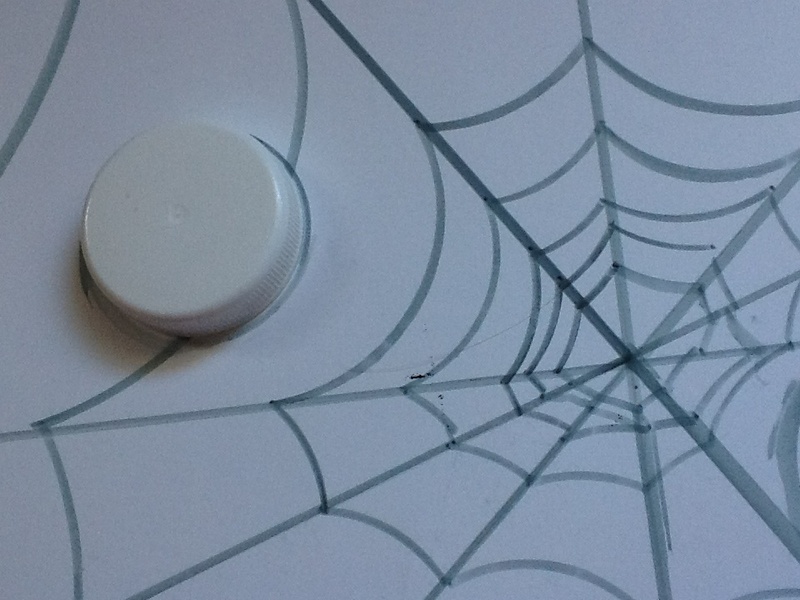 Make a simple spider web design on the poster board by drawing a cross in the center. Second, draw an “X” to make a pizza cutting pattern. I used a pencil just in case I needed to erase then went over it with gray marker. 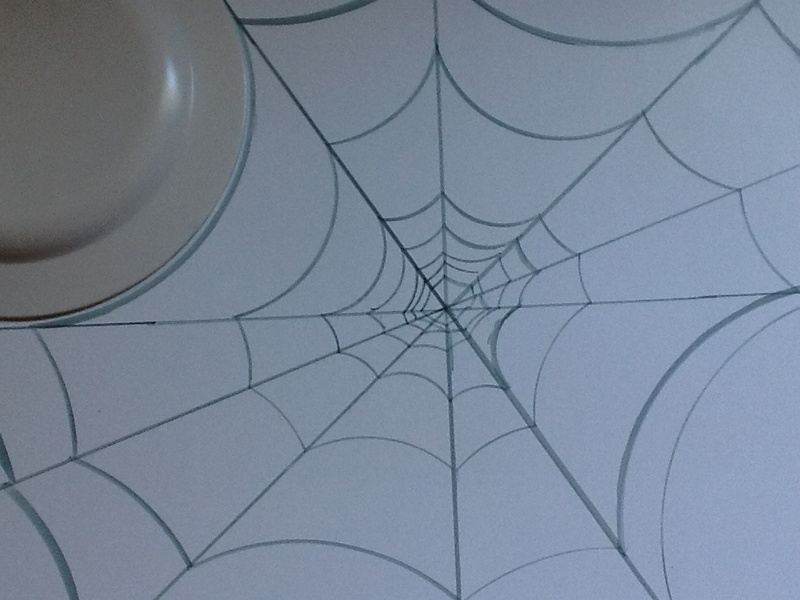 Sample from Spider Web Math AND 3 Ways To use It! Start tracing the outer edge of your smallest container first. 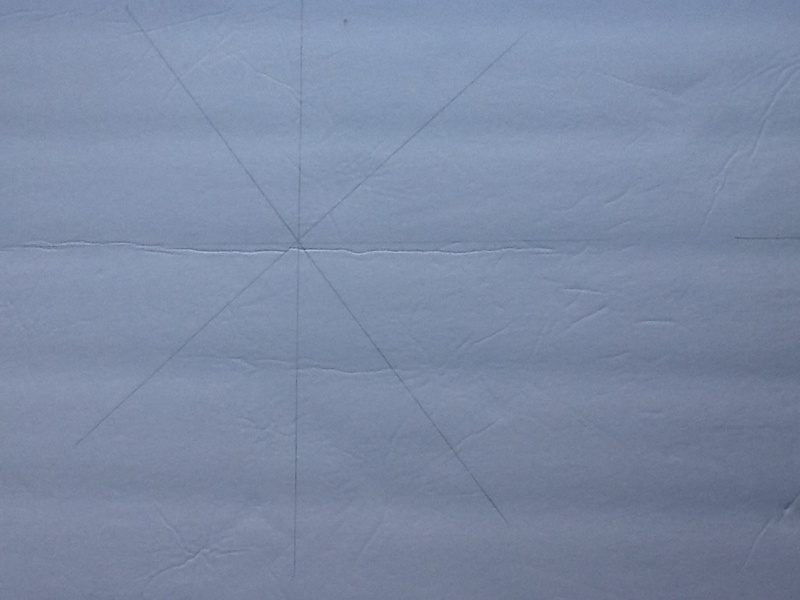 Draw a portion of a circle from one of the pizza cut design lines to the next. 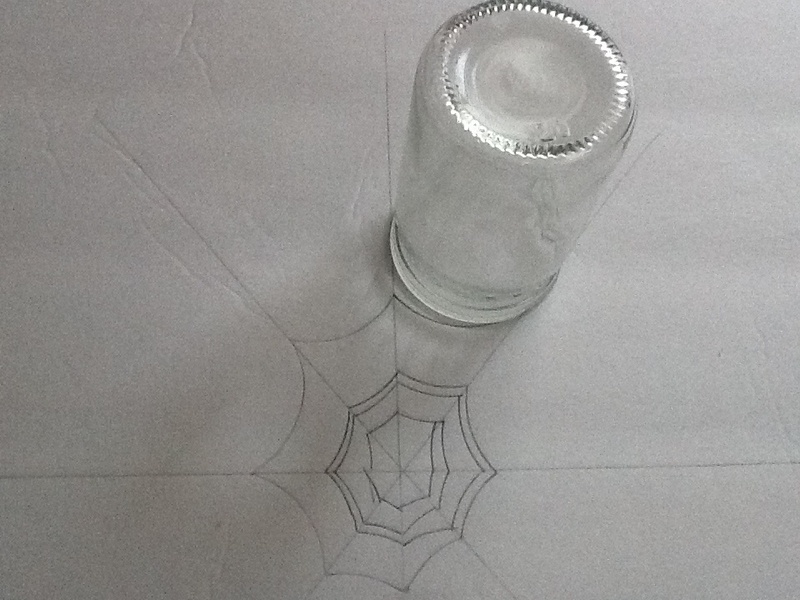 Keep drawing the curves using the container and at an angle so that your web continues to circle around. You will reach a point when you need to use a larger container to trace because the smaller one no longer touches from one line to the next. When you have finished circling the web like a spider does! use your juice bottle cap to make circles randomly around the web. Make a circle for each letter of every spelling word your child needs to spell. To give you an idea of how may circles will fit on the web: I made 20 or so spider circles and a few extra for mistakes. Now the FUN part!! Let your child use juice bottle caps dipped in paint to spell their spelling words! My son first wrote the words (like he would for a spelling test) then he stamp painted them. We talked about types of spiders here. He mimicked the look of the Brown Recluse, Black Widow, and Rainbow Orbb spider. LOVE the way he blended the colors!! After the spiders dried a bit, I showed him how to paint legs. You can use a marker for another look like we did here. He also used a paint brush. Sneeking in fine motor work where I can. 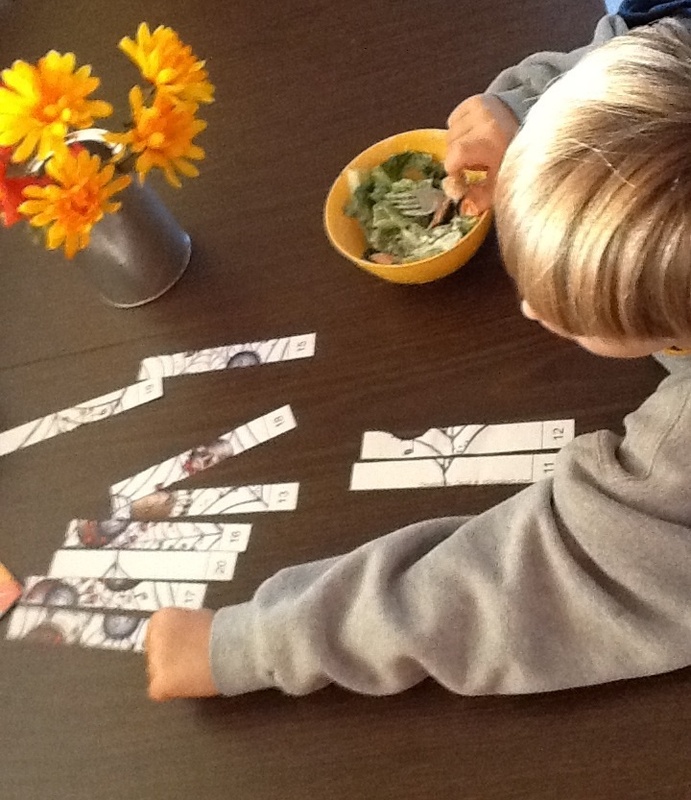 A Mom With A Lesson Plan has a totally fun move to think Spelling Word Web Search! This one is the newest post from Hands on: as we Grow. These “Crazy Fun” ways to practice spelling words will go with any theme. Trust me, you will want to save these!! 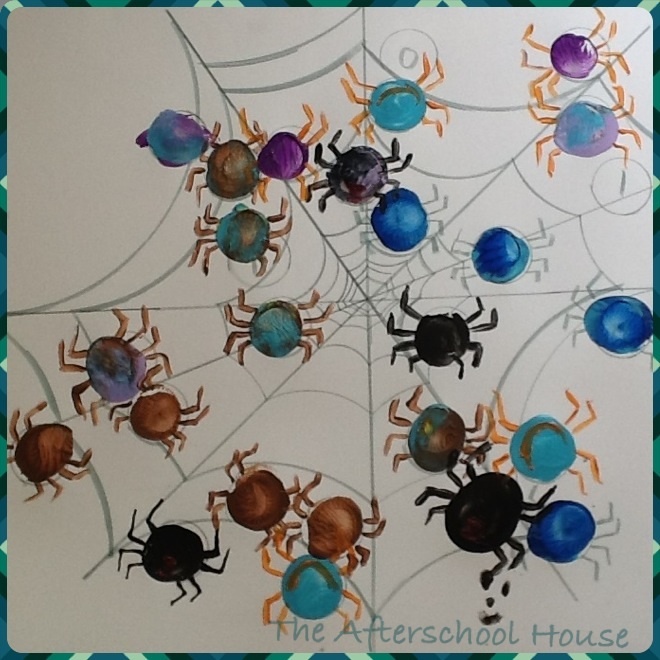 Check back for more SPIDER activities later this week here at The Afterschool House!